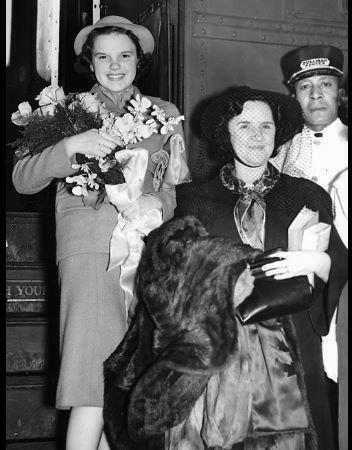 April 2, 1938: Judy, her mom Ethel, and (possibly) Roger Edens left Grand Rapids, Minnesota for Chicago, Illinois. 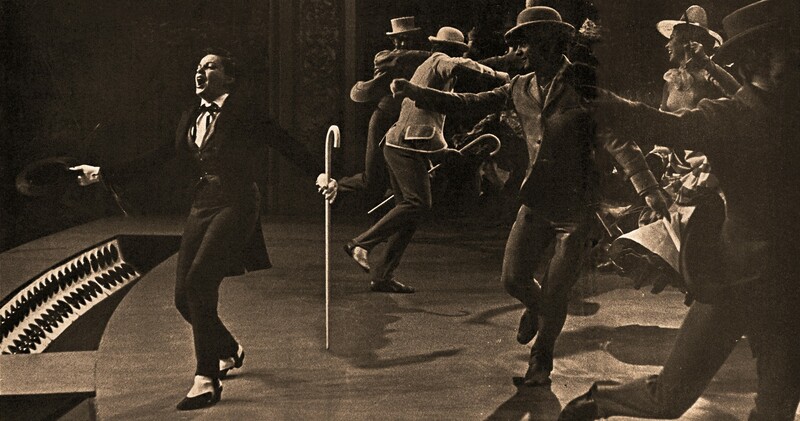 Grand Rapids is Judy’s birthplace and it was the last stop on the Everybody Sing tour that took Judy from Miami, Florida (where the film premiered) up to the northeast and parts of the Midwest, culminating in this return to Grand Rapids. It was Judy’s last time in her hometown. 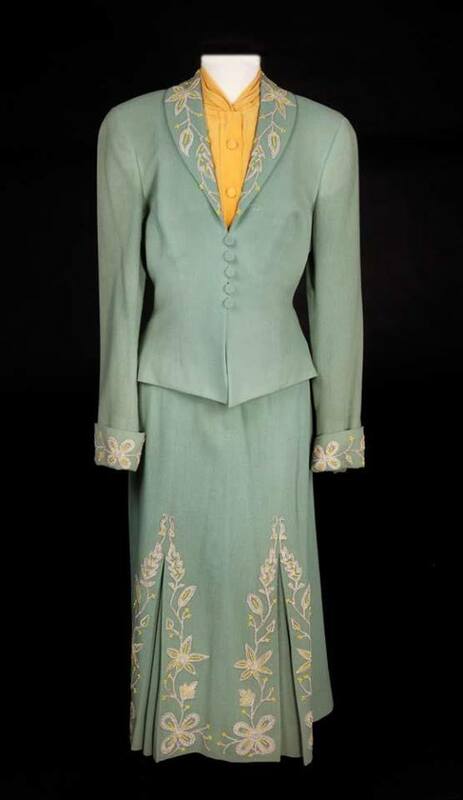 During her two days in Grand Rapids, it’s reported that Judy saw the house she was born in and the high school she would have attended and that she took part in a special luncheon at the Pokegama Hotel. 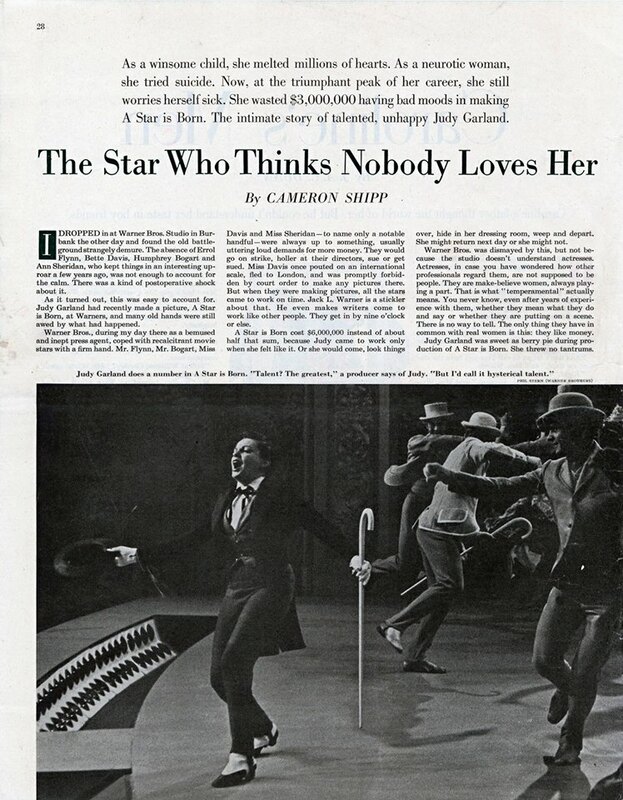 She also appeared on stage between shows at the Rialto, which was originally her father’s theater and the stage on which she made her debut on December 26, 1924. 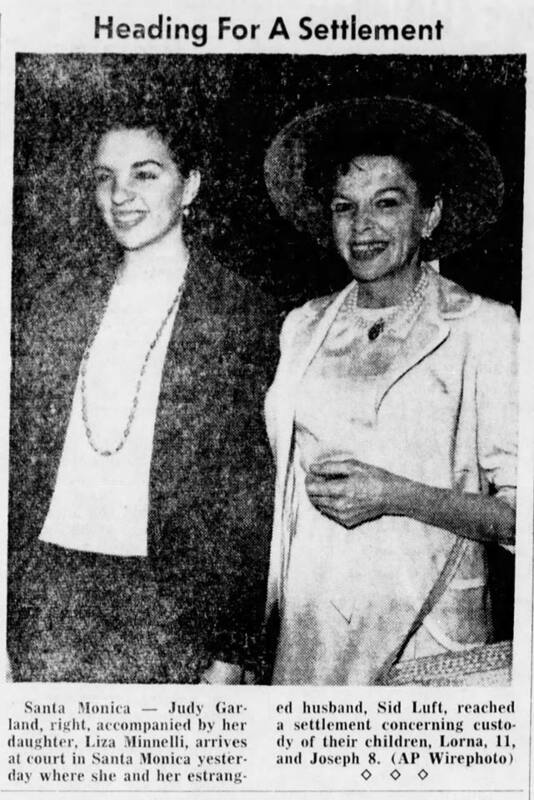 While there, Judy and her mom were the guests of Mr. and Mrs. George O’Brien at their Riverside Hotel apartment. 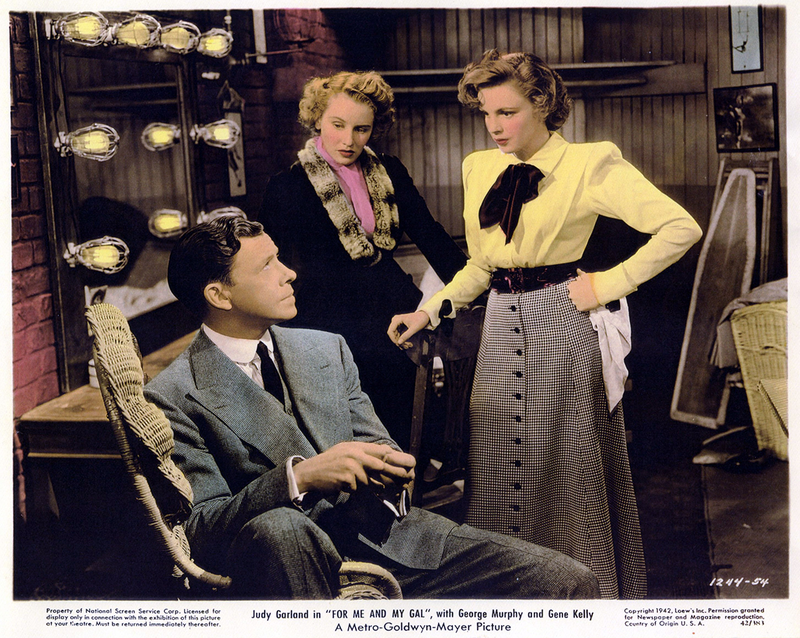 Judy, Ethel and Edens took the Super Chief from Chicago to Los Angeles which was also known as “The Atchison, Topeka, and the Santa Fe Railway.” The trip from Chicago took 38 hours and 45 minutes and included 14 stops! 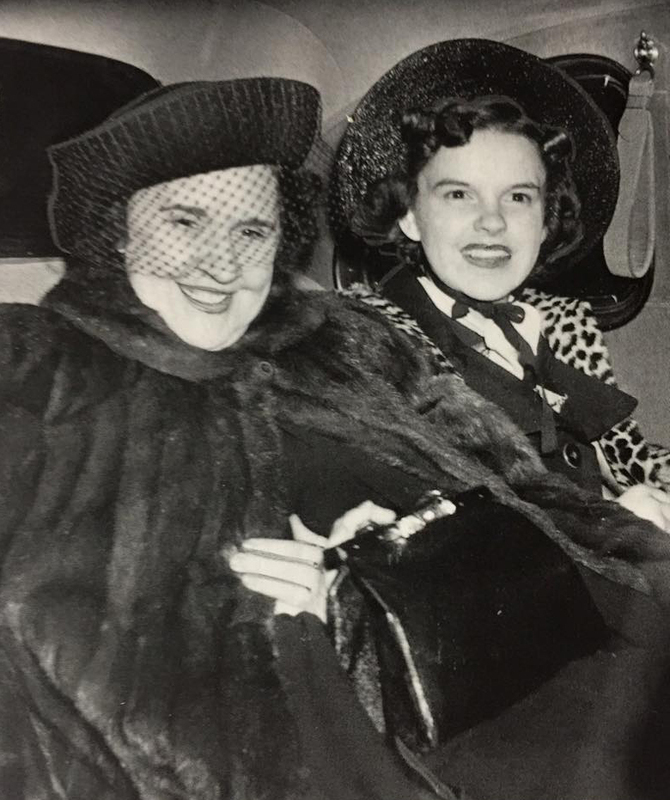 Photos: Judy and Ethel on March 30th, on their way to Grand Rapids and arriving in Grand Rapids. 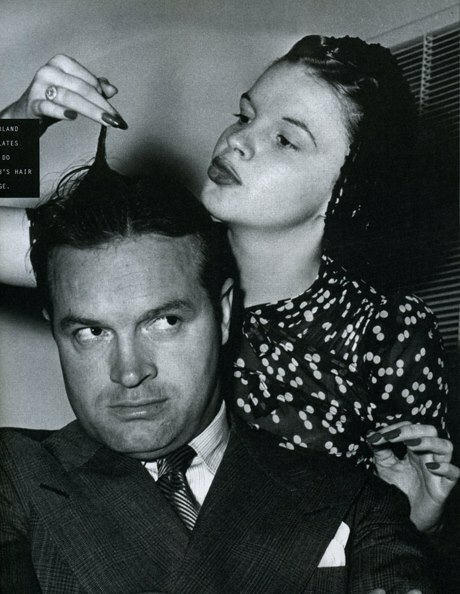 April 2, 1940: Judy’s weekly appearance on “The Pepsodent Show starring Bob Hope” for CBS Radio. There are no existing records of the content of the program nor are there any surviving recordings. 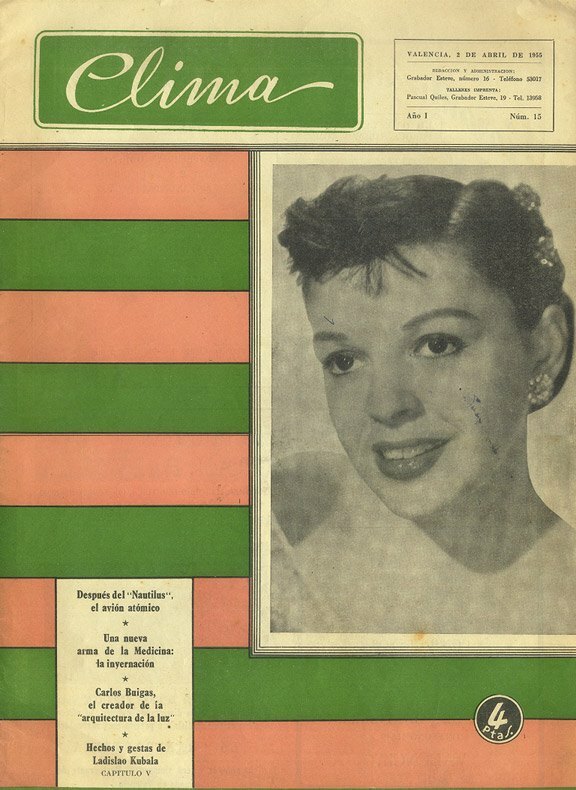 Judy Garland radio performances available for download can be found at The Judy Room’s “Judy Sings! On The Radio” pages. 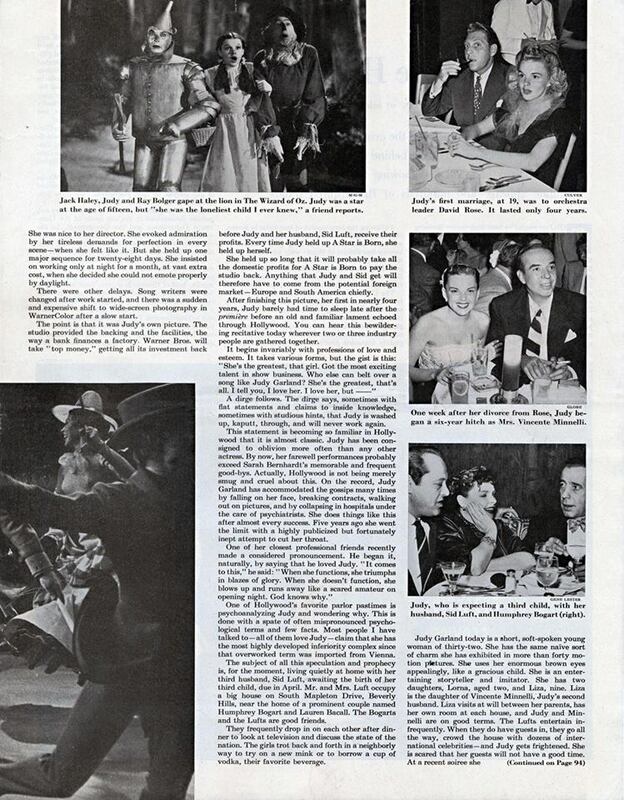 April 2, 1941: Judy was in New York. 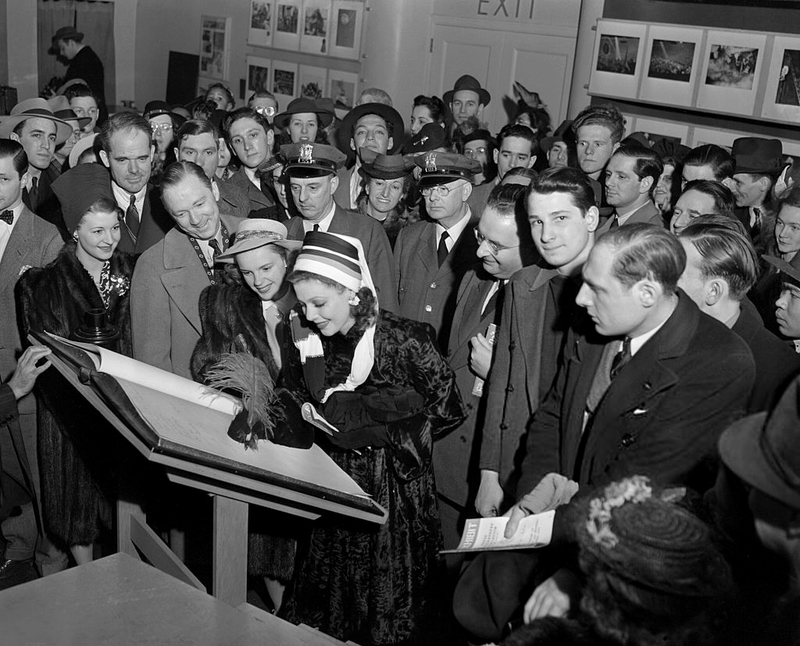 On this day Judy, along with Lee Tracy, and Loretta Young, visited the annual exhibition of the Press Photographers Association of New York at the Museum of Science and Industry in the RCA Building. Here they’re seen signing the register. 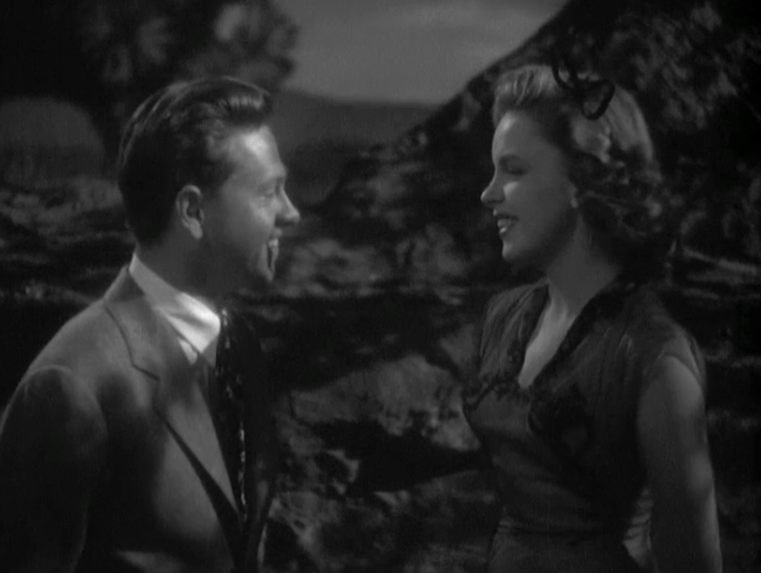 April 2, 1942: Filming continued on For Me And My Gal with “Rehearsed w/boom.” Time called: 3:00 p.m.; dismissed: 5:20 p.m.
April 2, 1943: Filming continued on Girl Crazy with scenes shot on the “Exterior Capitol” and “Exterior Indian Rock” sets. 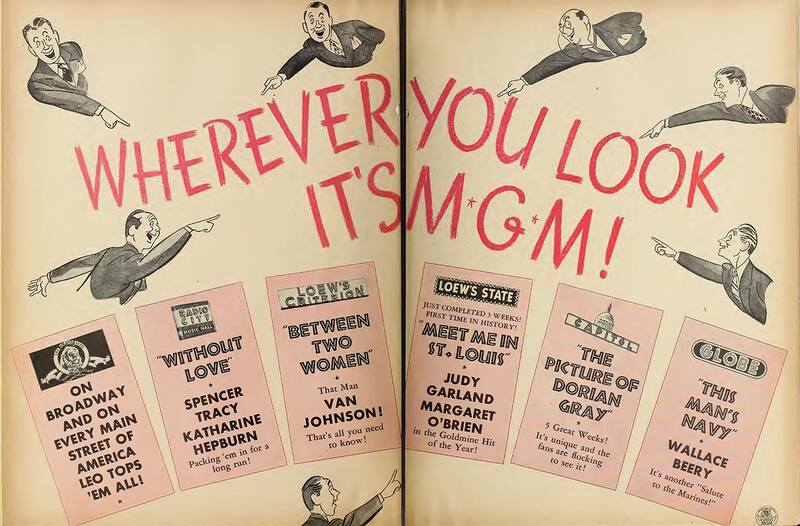 Time called: 10:00 a.m.; dismissed: 6:00 p.m.
April 2, 1945: This two-page ad promoting the latest MGM releases was published in the “Film Daily” trade magazine. 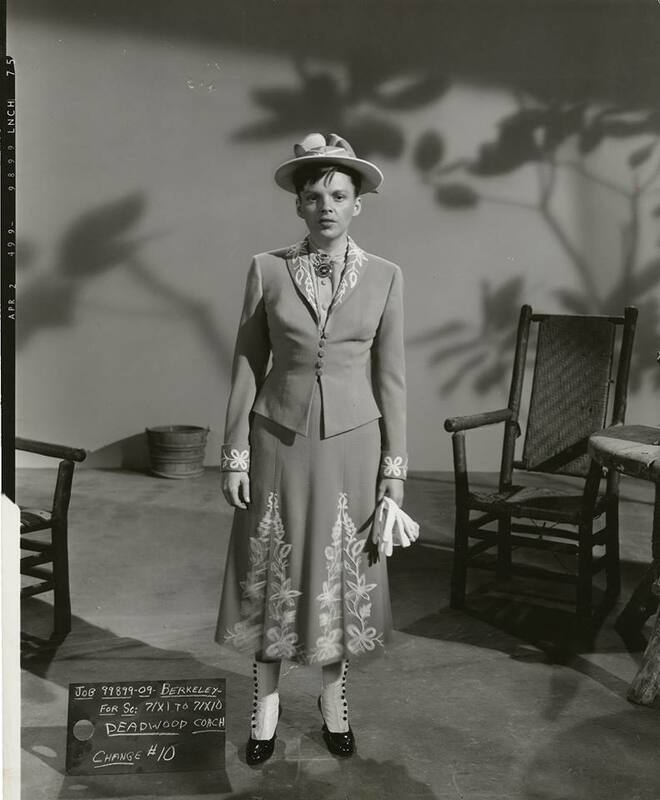 On this day at MGM, filming continued on The Harvey Girls with scenes shot on the “Exterior Train Platform” and “Interior Dormitory” sets. April 2, 1949: Wardrobe, hair, and makeup tests for Annie Get Your Gun for Judy as well as J. Carroll Naish and Geraldine Hall. 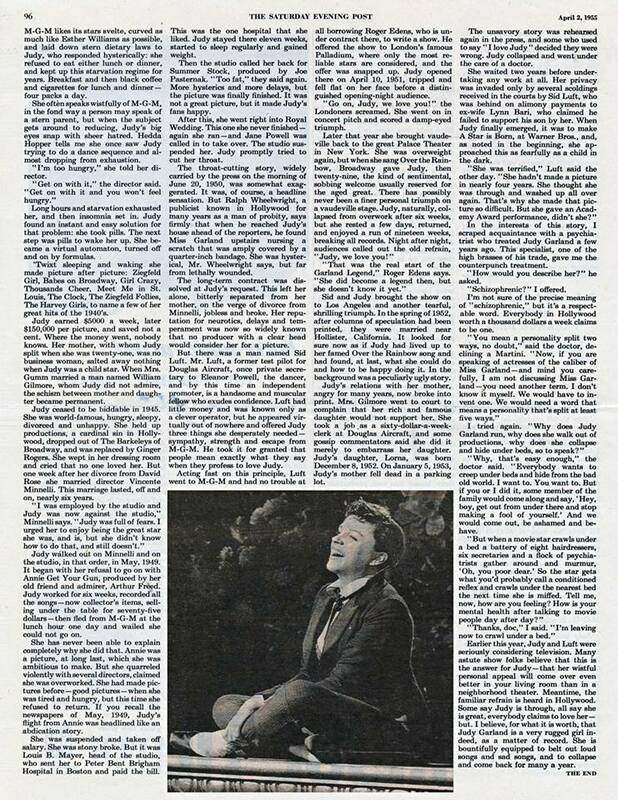 Judy was due in makeup at 8 a.m., on set at 10 a.m.; she arrived at 10 a.m.; lunch at 12:05 p.m. – 1:05 p.m.; dismissed at 2:25 p.m.
April 2, 1955: Judy appeared on the cover of Spain’s “Clima” magazine. 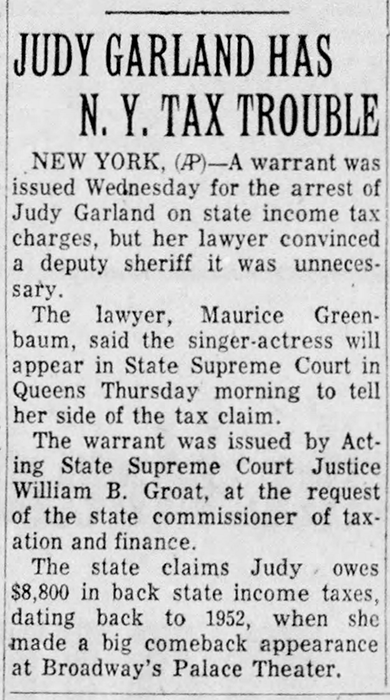 April 2, 1958: A bench warrant was issued for Judy’s arrest for state income tax charges. 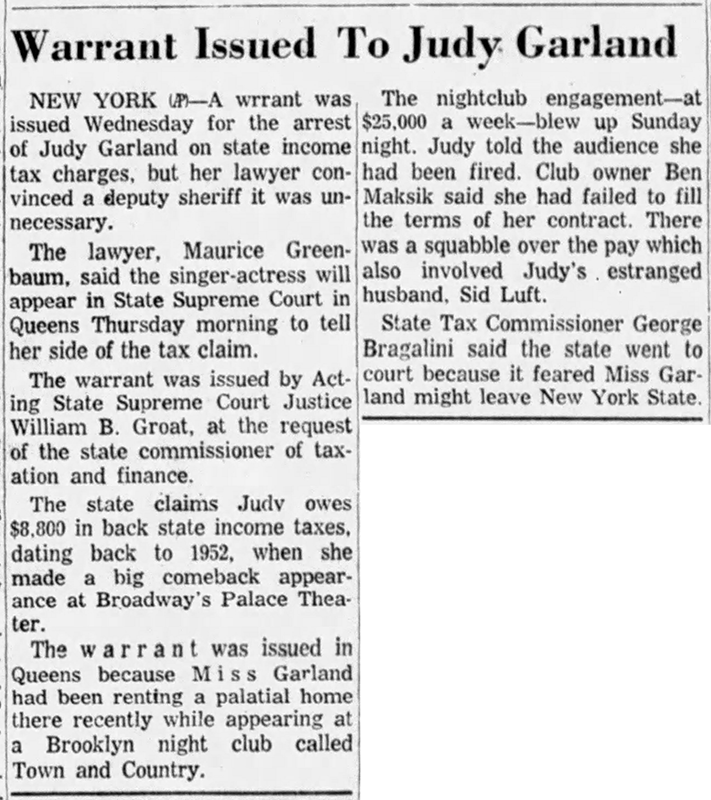 According to New York State, Judy owed $8,800 in back state income taxes going back to 1952. Judy was due in court the next day, Thursday, April 3rd. 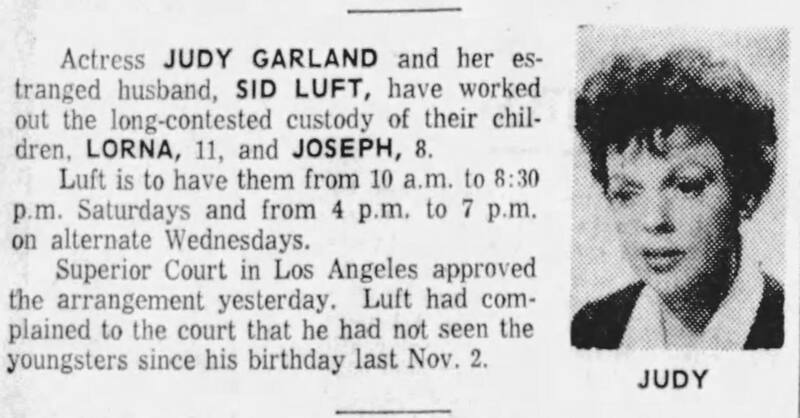 April 3, 1963: The Lufts (Judy, husband Sid Luft, and children Lorna and Joe Luft) returned to New York. They missed the opening of the off-Broadway show, “Best Food Forward” featuring Judy’s daughter Liza Minnelli. 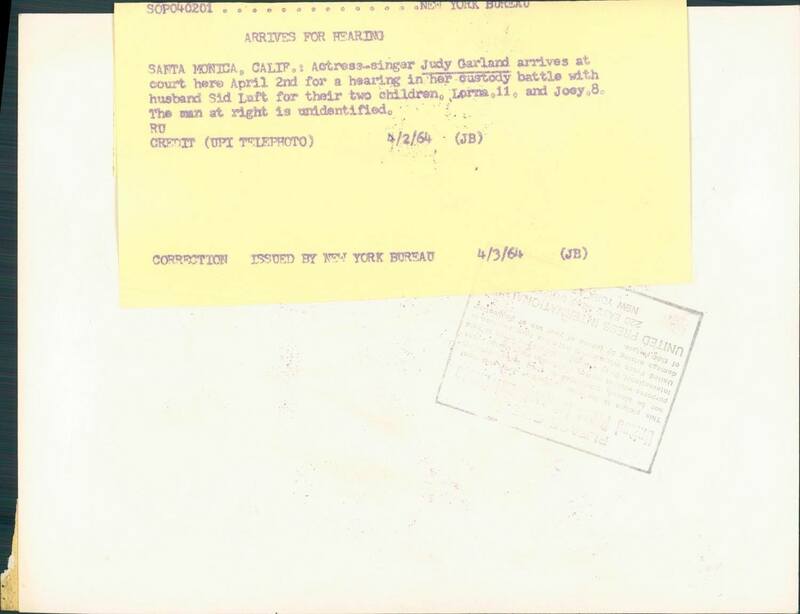 The official story was that they missed a flight, but allegedly the real reason was that Judy purposely did not attend as she didn’t want to take attention away from Liza. April 2, 1964: Judy, accompanied by daughter Liza Minnelli, appeared in court in Santa Monica, California. She was there, along with estranged husband Sid Luft, to work out “the long-contested” custody of their children Lorna and Joey Luft. According to the papers, Sid was to have Lorna and Joe from 10 am to 8:30 pm Saturdays and 4 pm to 7 pm on alternate Wednesdays. 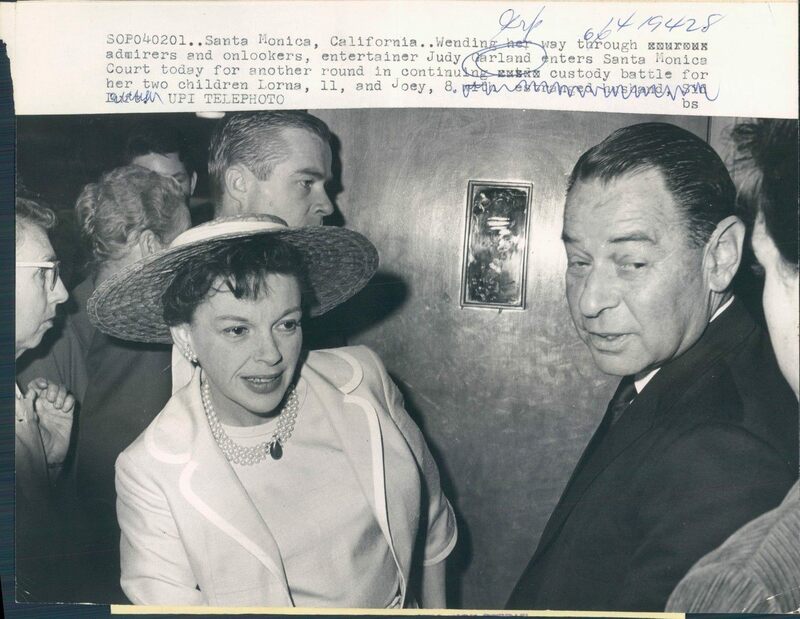 Caption on the back of the first photo read: Actress-singer Judy Garland arrives at court here April 2nd for hearing in her custody battle with husband Sid Luft for their two children, Lorna, 11, and Joey, 8. The man at right is unidentified. Credit (UPI Telephoto). The rest of the images are clippings from newspapers on April 3, 1964, when the news was reported. 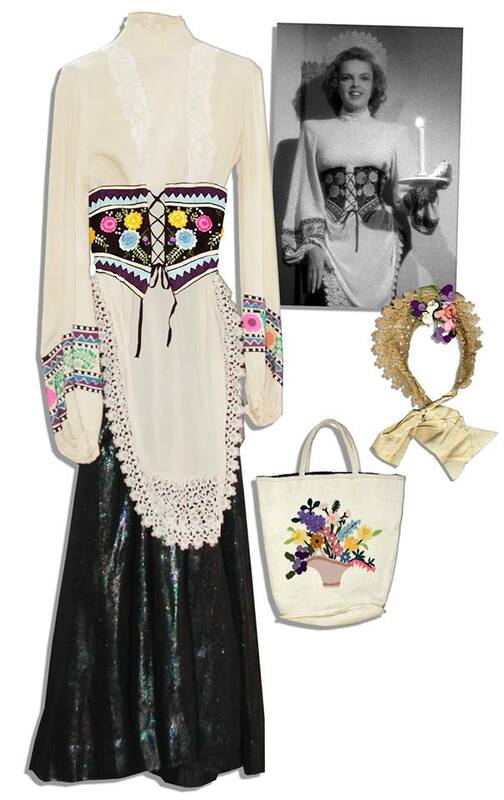 April 2, 2013: The costume that Judy wore in Presenting Lily Mars sold at auction for $9,799. 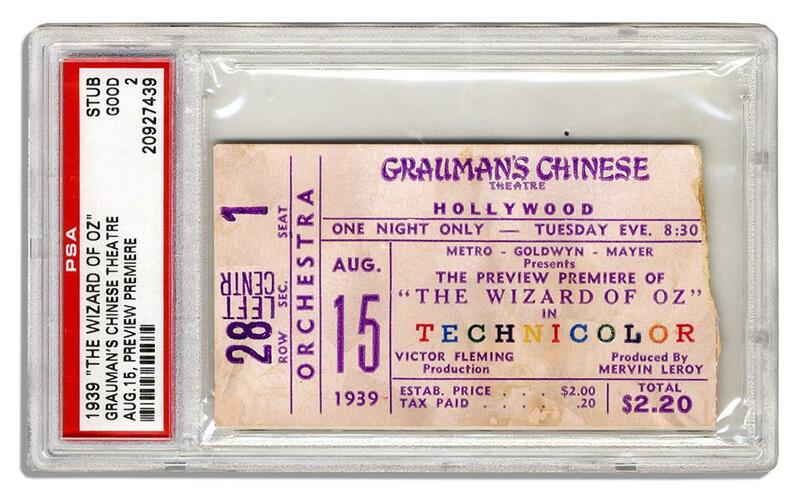 Also sold at auction was this ticket to the Los Angeles premiere of The Wizard of Oz at Grauman’s Chinese Theater. It sold for $6,081. 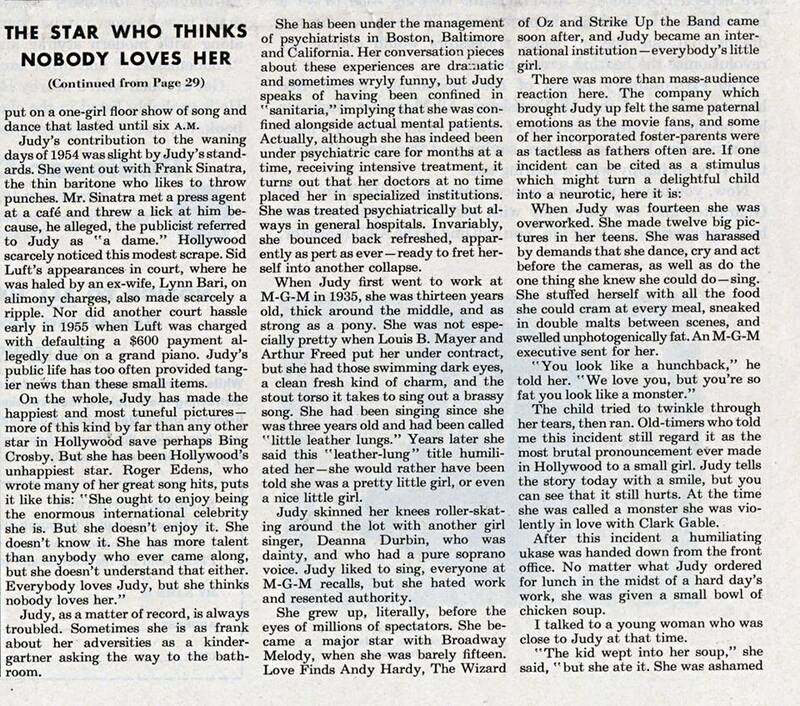 Its very apparent that the wonderful Roger Edens understood Judy very well based on the article where he states “Judy doesn’t think she is loved”. 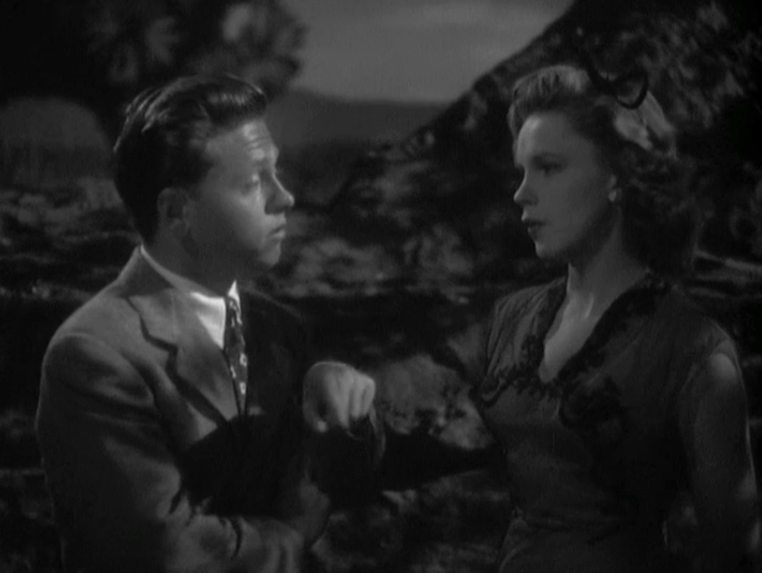 I believe she knew she was being used sometimes as a wind up doll that she herself said in the famous Judy Garland Talks CD. Especially in a time when women were still treated like second class citizens!